Northern Colorado Clean Cities will participate in a nationwide effort to showcase alternative fuel and advanced technology vehicle options at a National Alternative Fuel Vehicle (AFV) Day Odyssey event to be held at the Sustainability, Energy, and Environment Complex, from 11am to 5:30pm on Wednesday, April 19, 2017. National Alternative Fuel Vehicle Day Odyssey is a nationwide celebration conducted to educate the public about the importance of alternative fuel and advanced technology vehicles and to promote their widespread adoption. The event was created by the National Alternative Fuels Training Consortium, a program of West Virginia University, in 2002. The NAFTC has coordinated the nationwide Odyssey campaign since that time. NCCC’s 2017 Odyssey event is being held in partnership with the Renewable & Sustainable Energy Institute (RASEI), Denver Metro Clean Cities, Southern Colorado Clean Cities, University of Colorado Parking & Transportation Services, Refuel Colorado, Regional Air Quality Council, Colorado Cleantech Industries Association, and is supported by sponsorship from Noble Energy, J-W Power Company, Boulder Nissan, SolarCity, Redmark CNG Services, and the Colorado Propane Gas Association. 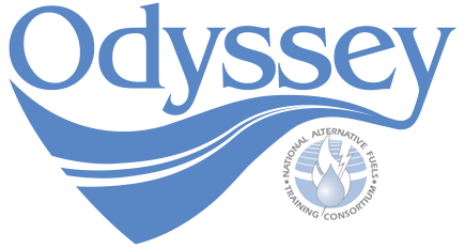 Alliance AutoGas and the Propane Education and Research Council are the 2017 National Odyssey Sponsors. The U.S. DOE Clean Cities Program, West Virginia University, Earth Day Texas, and the Dallas-Fort Worth Clean Cities Coalition are national partners of the event. For more information on NCCC’s Odyssey event, contact Sheble McConnellogue at (970) 302-0914 or sheblemc@gmail.com. For a complete list of National AFV Day Odyssey locations and details about each event, visit www.afvdayodyssey.org. For information about the national program, contact Virginia McMillen, National AFV Day Odyssey Manager, at Virginia.McMillen@mail.wvu.edu or by calling 304-293-7882. Northern Colorado Clean Cities Coalition and Aims Automotive Technology Center in Windsor, CO, held a day of informative panels and seminars on alternative fuels, technologies, research, programs and incentives, and vehicles for Odyssey 2014. Participants were also able to view alternative fuel vehicles, participate in ride and drives and browse information tables. Event Highlights: Northern Colorado Clean Cities’ agenda for National AFV Day Odyssey promoted alternative fuels through a keynote speaker, three panels, and a vendor and vehicle expo. The keynote speaker, Tom Hunt from the Colorado Energy Office, spoke on removing barriers to alternative fuels in Colorado. The three panels that followed were chaired by industry representatives with expertise on the following panel topics: CNG, LNG, and propane; electric vehicles; and biofuels. A brief question-and-answer period followed each panel, and later a catered lunch was made possible by Nissan, an event sponsor. A vehicle expo with over 20 vehicles took place during the break and lunch. At the event’s conclusion, an iPad donated by Plug In America was given away. Event Highlights: Northern Colorado Clean Cities hosted a National AFV Day Odyssey event at the Aims Automotive and Technology Center at Aims Community College. The event showcased alternative fuel vehicles, including flexible fuel, compressed natural gas, propane, biodiesel, and plug-in electric vehicles. Several alternative fuel and advanced technology vehicles were on display and knowledgeable representatives were on hand to answer questions. Additionally, breakout room workshop presentations were held by industry experts on the latest alternative fuel technologies. The event was free and open to the public. Event Highlights: The morning started off with a breakfast for attendees. Presentations from various speakers covered topics such as petroleum reduction strategies, emergency situations, and refueling. Attendees also gained knowledge on two of the emerging biofuels, ethanol and biodiesel. Displays of alternative fuel and advanced technology vehicles were also on hand to further reinforce the use of alternative fuels. Highlights: Well received by all attendees; one legislative representative expressed great interest in event activities.